We’ve covered sour cocktails in the past, but today we’re going to spend some time with one in particular: the whiskey sour. Popular since the mid-1800s, it’s still going strong. Spirit + sweetener + citrus is a the structure of a myriad of cocktails. 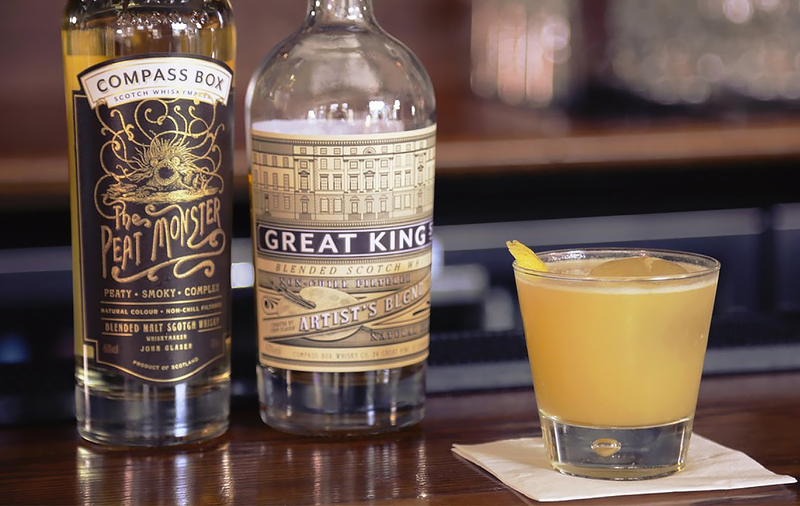 Let’s take a look at the whiskey sour and a couple of variations. The original sour would be made using granulated sugar, but using simple syrup instead will make for a more consistent drink. Add all ingredients into a cocktail shaker. Next, add ice and shake. 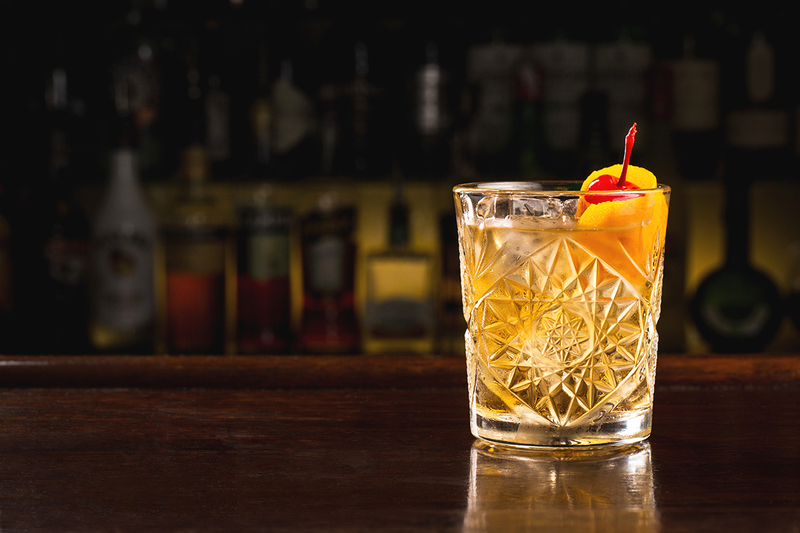 If serving on the rocks, strain and pour into an ice-filled rocks or old-fashioned glass. If serving “up” (without ice) strain and pour into a coupe glass. Garnish with cherry and/or orange slice. 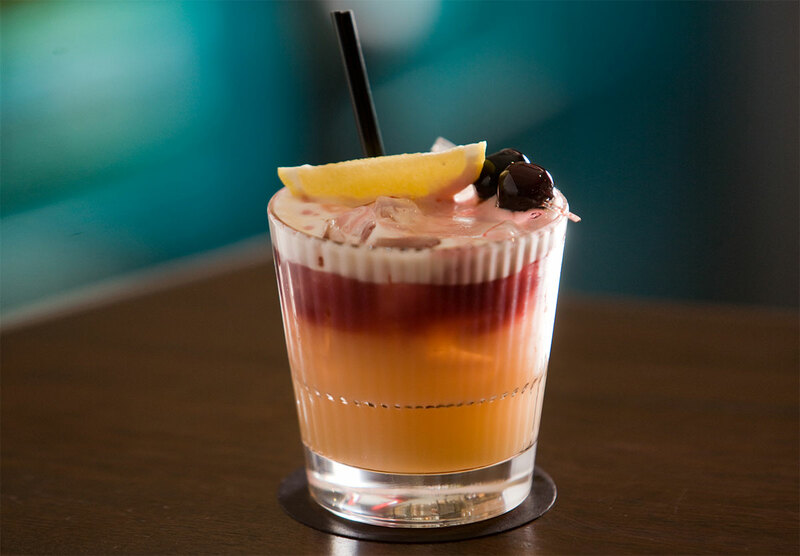 Sometimes referred to as a Boston Sour, this is a whiskey sour made with the addition of egg white. If you would prefer, you can use pasteurized egg whites (about 2 tbsp) instead of a standard egg white. Shake all ingredients in a cocktail shaker without ice to help emulsify the egg white–this is called a “dry shake”. Next, add ice and shake some more. If serving on the rocks, strain and pour into an ice-filled rocks or old-fashioned glass. If serving “up” (without ice) strain and pour into a coupe glass. Garnish with cherry and/or orange slice. A simple addition to the whiskey sour. Simply add ½ oz-1 oz red wine to the finished whiskey sour. Any red wine will do, but fruit-forward wines like syrah or merlot do well. Pour over the back of a spoon so that it floats on top. The Penicillin Cocktail has earned its place next to the pantheon of classic cocktails. Created in 2005 by Australian bartender, Sam Ross while he tended bar a New York’s Milk & Honey (now reborn as Attaboy), this modern classic is a drink to cure what ails you. Add blended Scotch whisky, lemon juice and honey-ginger syrup to a shaker and fill with ice. Shake and strain into a rocks glass filled with fresh ice. Top with peated single malt and garnish with a piece of candied ginger or lemon zest. Making the honey-ginger syrup: Combine one cup honey and one cup of water to a saucepan. Add a knob of ginger about 4-6 inches, peeled and thinly sliced. Bring to a boil, reduce heat and simmer for 5 minutes. Remove from heat and allow to cool. Refrigerate syrup overnight then strain to remove the solids. This can be increased to make more, just add more ginger accordingly. Keeps for up to two weeks, refrigerated. 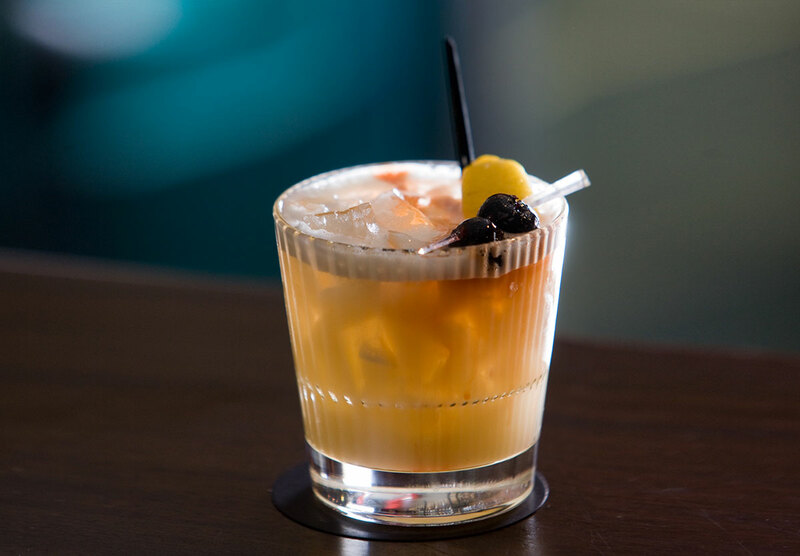 Want to create your own riff on the whiskey sour? As we’ve mentioned before, with sour cocktails, you can make a change to the citrus and have a new drink. Try subbing out the lemon for grapefruit, blood oranges, or yuzu. Just remember, the less tart or sour the citrus, the less sugar you’ll use. You can also change the sweetener. Change the sugar to honey, agave syrup, or maple syrup to personalize your drink. You can even add an herb like thyme, rosemary, or tarragon to kick it up. Just steep in your sweetener of choice along with equal parts water. Simmer for a few minutes on the stove and chill. Then, strain the solids and voilà! Try maple syrup and a mix of orange and lemon juice. Try adding a teaspoon of marmalade and make sure to use an egg white. Try with grapefruit juice and mint simple syrup. Try with a cinnamon simple syrup. Try using yuzu and a rosemary simple syrup. Ready to find the perfect whiskey for your sour cocktails?